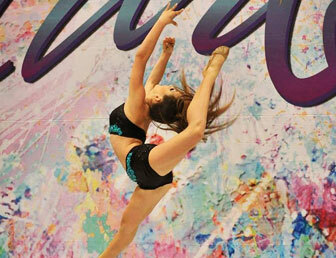 There is a reason that we are named Dance Obsession. Every single member of our staff is obsessed with dancing! Dance is such an incredible gift and we are so happy that we get to spread our love of it to the students that attend classes at our dance studio in Palm Beach Gardens. While there are so many reasons why we love dance so much, we’re going to provide you with a few of our favorites. If your child enjoys dancing as much as we do, then be sure to enroll them in a class today! It is incredibly hard not to have a smile on your face while dancing. It’s just so much fun! And the dancer isn’t the only one that gets joy from it. Especially with our tiny little dancers moving and grooving, any parent or loved one will be filled with happiness! Dance is a great way to spread joy to everyone around! Sometimes words are unable to express the emotions that we are feeling, and dancing gives us the opportunity to get our feelings out! Without saying a single word, dancers are able to express the emotions that they are experiencing. Not only is dancing a great way to have fun, but it also encourages the young ones to live an active and healthy lifestyle. In this day and age, it can be difficult to convince children to get their bodies moving instead of being glued to a smartphone or tablet. But dancing makes it easy for them to be active! Not only does it help them to build muscle and endurance, but it also benefits their coordination and flexibility as well! It’s likely that if your child is new to our dance classes, they’re a little bit nervous. It can be scary meeting new people and experiencing something new. But we promise you that in a very short amount of time, they’ll be so excited to come to our dance studio and see all of their new friends! As their dancing skills begin to develop, they’ll realize that they’re getting better with each class! Dance is a great confidence booster for the children and will also help them strengthen their socializing skills. Maybe the most obvious reason that we love dancing so much is because of how fun it is! Nothing compares to hearing your favorite song and grooving to it! While we focus on helping your child become the best dancer that they can be, we never forget to let the kids have the most fun possible! There are countless other reasons to love dancing, but these are a few of our favorites! If your little one is not currently enrolled in a class at our dance studio, what are you waiting for? There are so many benefits that come with dance and we promise that your child will love coming to our dance studio in Palm Beach Gardens! Contact us today to learn more!